Looking for chest freezers, cookers, gas ovens, electric fires and other electrical goods and kitchen appliances in Burgess Hill? 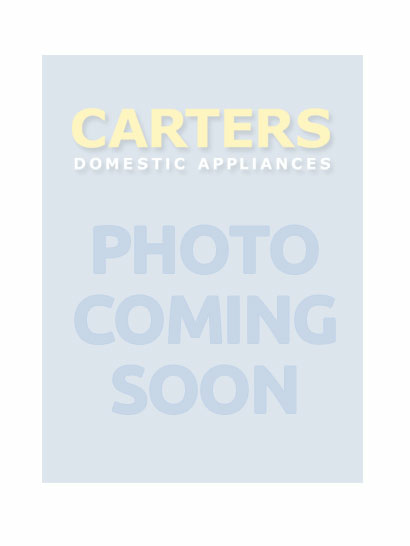 Carters Domestic Appliances is a leading Euronics dealer with stores in prominent towns in Sussex. We are family run, independent company established in 1987. Although we traded from a prominent store in Church Road, Burgess Hill, until very recently; we do attract many customers from this town to our store in Brighton on Preston Road. Customers also visit our Haywards Heath store on South Road. Our large warehouse in Storrington allows us to stock huge volumes of washing machines , tumble dryers and dishwashers ready to deliver and install at your home in Burgess Hill. Being part of Euronics allows us to offer a substantial range of products at truly unbeatable prices, whether on the high street, or on line. This is possible through Euronics' massive buying power created by over 25 member coutries and over 10,000 retailers which drives prices down. These savings are then passed onto customers buying chest freezers, cookers, electric ovens, and other domestic appliances. Euronics is becoming an instantly recognised household name and is now officially the biggest electrical buying group in Europe. Come and visit one of our stores; the nearest to Burgess Hill being our superstore in Brighton, or our newest outlet in Haywards Heath. If it's the best deal on kitchen white goods and small domestic appliances you're looking for, then get down to Carters where the best deal is guaranteed. It's also worth bearing in mind that Carters Domestic Appliances, like most other Euronics dealers, are totally independent, so are able to choose the best products from leading brands for the market. We encourage all our Burgess Hill customers and friends to visit our stores when considering the purchase of a new appliance. Our staff are passionate about what we do and have a wide product knowledge. They will be able to answer your questions about the features and benefits of a variety of models in fridges, microwaves, washer dryers, and other types of electrical goods for the home. Our delivery crews are fully trained to disconnect and remove your old appliance before installing your new machine in a safe and competent manner - they'll even take away all associated packaging materials free of charge to be recycled responsibly, so you don't have to. 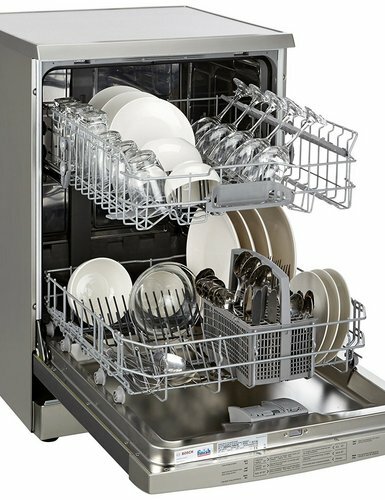 Browse our products on line, drop by into one of our stores in Sussex or simply call us to get your new domestic appliance at the best rate on the market, today! 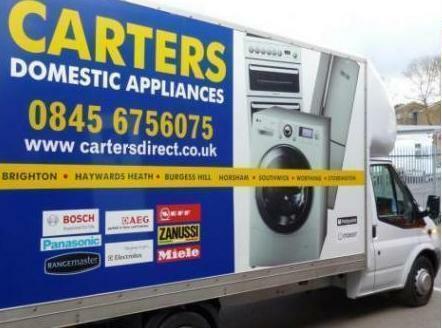 Carters Domestic Appliances is a recognised name in East and West Sussex rated highly by our customers and leading national industry bodies including Euronics, the ERT and IER. In fact we are informed that our success in the annual awards based on customer reviews is good evidence that our policy of treating consumer issues a priority is well received. Carters trade as multiple retailing award-winners. In 2010, we were voted the Euronics Store of the Year. We belong to a number of professional organisations such as FSB and Sussex Enterprise that expect the highest standards. Why not visit one of our stores and see what we can do for you?